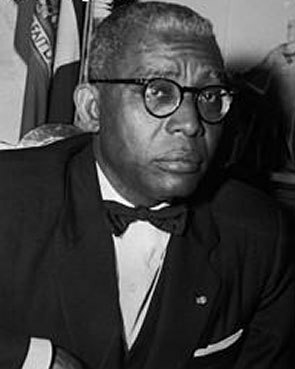 On June 14, 1964, a referendum was held on whether Duvalier should be made President for Life; 2.8 million people voted "yes," and only 3,234 voted "no." His government was soon accused of being one of the most repressive in the hemisphere. Papa Doc expelled almost all of Haiti's foreign-born bishops in the name of nationalism and replaced them with his political allies, an act that earned him excommunication from the Catholic church. But in 1966, Duvalier managed to persuade the Vatican to allow him to nominate the Catholic hierarchy for Haiti. On an ideological level, this perpetuated the notion of black nationalism by allowing the country to appoint its own bishops. It also allowed Duvalier to expand his control to encompass religious institutions. Duvalier fostered a personality cult around himself, and claimed to be the physical embodiment of the island nation. He even nationalized all media companies to help propagate this idea, so much that even TV stations couldn't produce any original programming unless it was about him. 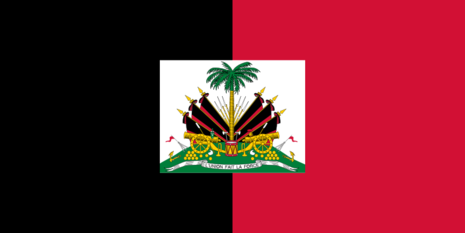 Haitian communists and suspected communists, in particular, bore the brunt of the government's repression. Within the country, Duvalier used both political murder and expulsion to suppress his opponents; estimates of those killed are as high as 30,000. Attacks on Duvalier from within the military were treated as especially serious; in 1967 the fact that bombs were detonated near the Presidential Palace led to his execution of twenty Presidential Guard officers. Such tactics kept the country in Duvalier's grip until his death in early 1971. His 19-year-old son Jean-Claude Duvalier followed him as president. Educated professionals fled Haiti in droves for New York City, Miami, French-speaking Montreal, Paris, and several French-speaking African countries. Some of the highly skilled professionals joined the ranks of several UN agencies to work in development in newly independent French speaking African countries such as Ivory Coast, and Congo. The exodus created a brain drain that exacerbated an already serious lack of doctors and teachers; the country has never recovered. Duvalier's government confiscated peasant land holdings to be allotted to members of the Tonton Macoutes; the dispossessed swelled the slums by fleeing to the capital to seek meagre incomes to feed themselves. Malnutrition and famine became endemic. Most of the aid money given to Haiti was spent improperly. Under the reign of Francois Duvalier, he initiated the development of airfield strip that became known as Mais Gate Airport, now known as Toussaint Louverture International Airport. Duvalier enjoyed significant support among Haiti's majority black rural population who saw in him a champion of their claims against the historically dominant mulatto élite. During his fourteen years in power, he created a substantial black middle class, chiefly through government patronage. On the domestic front, kleptocracy was the law of the land. Citizens and foreign businessmen alike were shaken down to the last dime for a bizarre project to ostensibly build a utopian town called "Duvalierville". Needless to say, nearly every cent stolen for Duvalierville went straight to Papa Doc himself. Papa Doc similarly cowed the Vatican by expelling almost all of Haiti's foreign born bishops in the name of nationalism and replacing them with his political allies, an act that got him excommunicated from the Catholic church. With his enemies cowed and the entire nation in fear of his secret police, Duvalier declared himself "president for life", and rewrote the constitution after a rigged election to pass power onto his hefty and dim-witted son Jean-Claude upon his death. Through it all, the Haitian GDP plummeted as did the living standards in Haiti. Intellectuals and college educated professionals fled Haiti in droves, creating a brain drain that exacerbated an already serious lack of doctors and teachers. Peasant land holdings had been confiscated and alotted to Tonton Macoute bigwigs, the miserable slums in Port-au-Prince swelled with the homeless and desperate country folk who had fled to the capital seeking meagre incomes to feed themselves. Malnutrition and famine had become endemic. Almost none of the aid money given to Haiti was appropriated properly. Instead, it fattened the bank accounts of Papa Doc and his small handful of cronies.